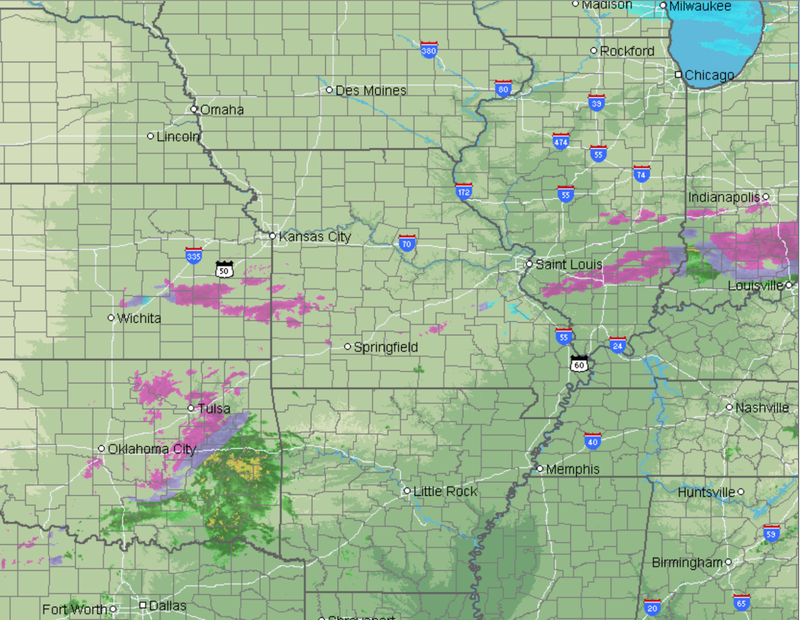 Here is the AccuWeather Regional Radar as of 7:30pm. The power failure issues have possibly become more serious. Below is my forecast from 5:30pm. The area within yellow will be subject to scattered to widespread power failures. 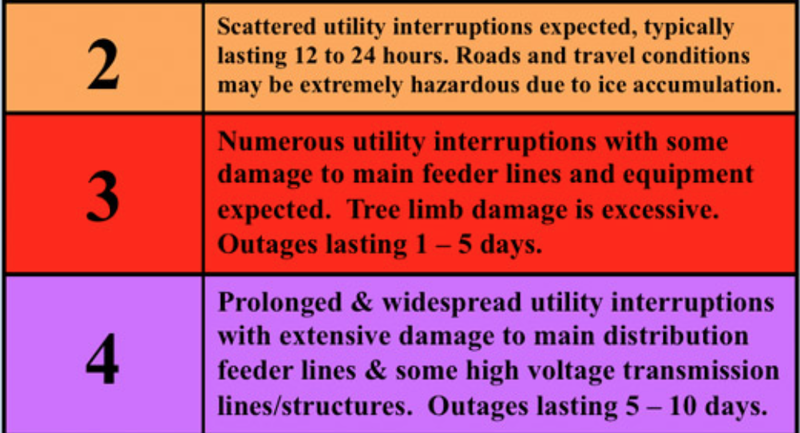 The area with the darkest rose color may have power out for days or weeks. 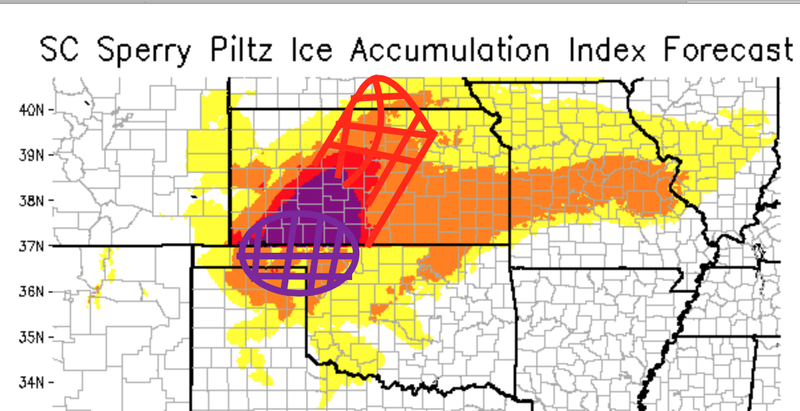 Below is the latest map of the Sperry-Piltz Index which is designed to anticipate the level of power failures in ice storms and the news is not good. 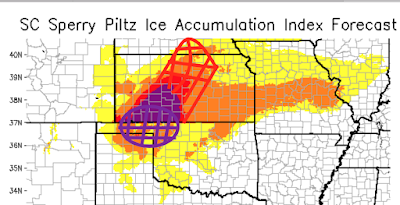 I have modified the original forecast colors (which used the National Weather Service's forecast of ice accumulation) so it now displays my forecast for the red and purple areas. Now, here is what the colors mean. 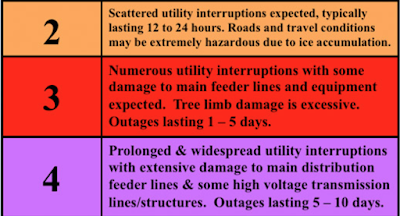 Outages of 5 to 10 days are very serious. 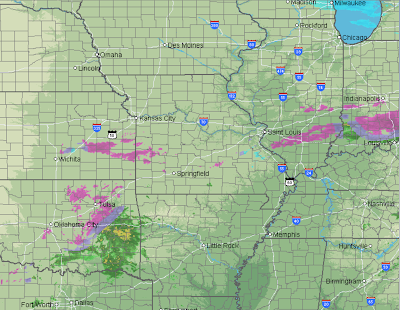 If you have not made plans and the freezing rain has not begun in your area, please do so right away. Scroll down to see my suggestions. 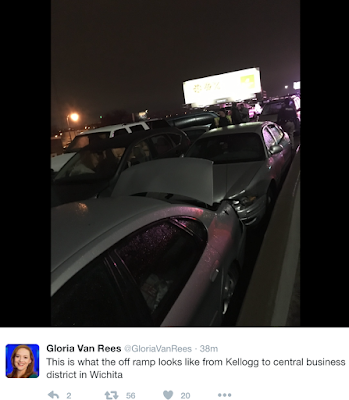 Literally a few minutes after the freezing rain began in Wichita, roads (including major highways) instantly became skating rinks. Please do not travel unless it is absolutely essential!